My name is Bop Phillips and I grew up in San Marcos Texas. I had the good fortune of working at Aquarena Springs Tourist Attraction from 1962 to 1972. It was a wonderful, magical place and those memories are still with me. The family-owned theme park, while no longer in existence, is still a vital memory for generations of Texans and out-of-state visitors. The centerpiece was the “World’s Only Submarine Theater,” a marvel of engineering that would blow ballast and submerge an audience below the water. After it was opened in 1950, the submarine theater garnered wide attention — years later, we found it featured on the cover of a 1952 Popular Mechanics magazine (which also appears in the film). Aquarena always had some new stunt to attract media interest — in the early 1950s it hosted the first underwater wedding, reported in Life magazine (to prevent the wedding gown from floating up over the bride’s face, small lead balls were sewn into the hem). This DVD contains 78 Minutes of Amazing Stories and Images of Aquarena Springs! I have just finished watching it and I cannot describe what a truly wonderful trip down memory lane it was. Fantastic, marvelous, remarkable and whole lot more. Bob Phillips grew up working at Aquarena Springs. He was uniquely qualified to tell the story and has done a masterful job. This documentary tells the amazing story of one of America's most famous vintage roadside attractions, Aquarena Springs, located in San Marcos, Texas. Aquarena Springs was created post, World War II, and helped Americans change the way they vacationed. The construction of the interstate highway system, took people to the roads to see and experience the country at large. Aquarena was one of the first places in America to capitalize on this new tradition, and was a pioneer in what would become the modern amusement park and tourism experience. Aquarena hosted millions of Texas family members from, 1950 to 1996. 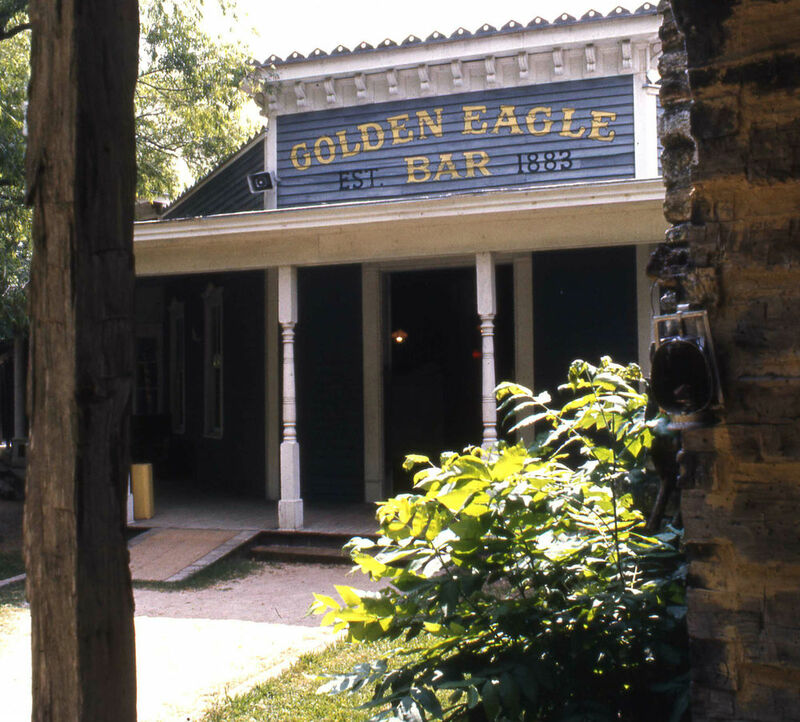 The attraction was situated at the headwaters of the crystal clear San Marcos Springs. Aquarena Springs Resort, with the world’s only submarine theater, aquamaids, Glurpo the underwater clown, glass bottom boats, Swiss Skyride, Texana Village (think Gunsmoke), and Ralph the swimming pig, was a state and national phenomenon throughout the second half of the 20th century. Pictures from its attractions and underwater shows appeared in magazines and newspapers from Life Magazine and the Dallas Morning News to television programs like “What’s My Line?” and "On the Road with Charles Kuralt". After HemisFair, the 1968 World’s Fair in San Antonio, Texas the resort really started to become a household name. When I heard that the new owner, Texas State University, was going to dismantle the entire park, I desperately wanted to keep the magical memories of Aquarena Springs alive. So over a period of 5 years, I collected vintage photographs and vintage footage and interviewed over 30 people who either worked at the park or visited it. This documentary transports the viewer back in time. You will hear the nostalgic stories and see the amazing images of that magical place, called Aquarena Springs. The documentary was a selection at the Thin Line Film Fest, an international documentary film festival. See beautiful Mermaids and aquamaids swimming ballet and eating and drinking underwater and learn how they did it. 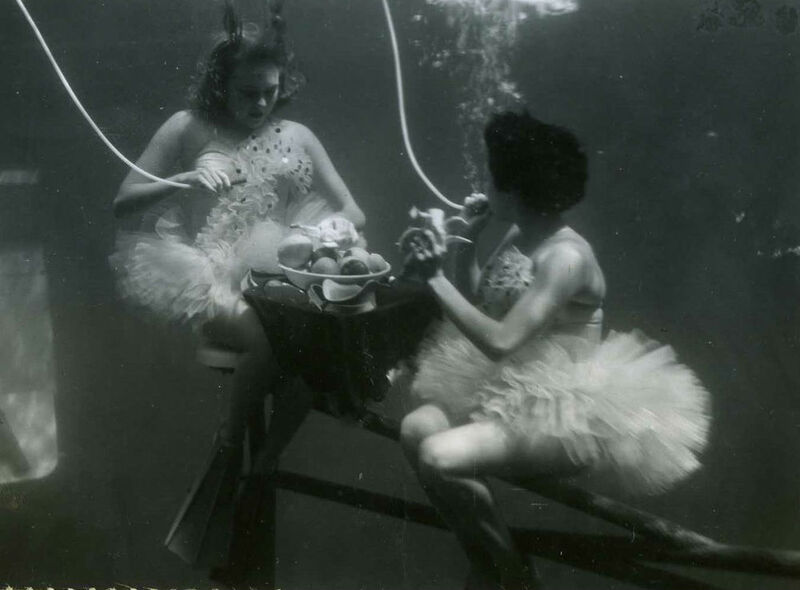 Learn how they breathed underwater and how they got into their mermaid costumes. How do you teach a pig to swim? 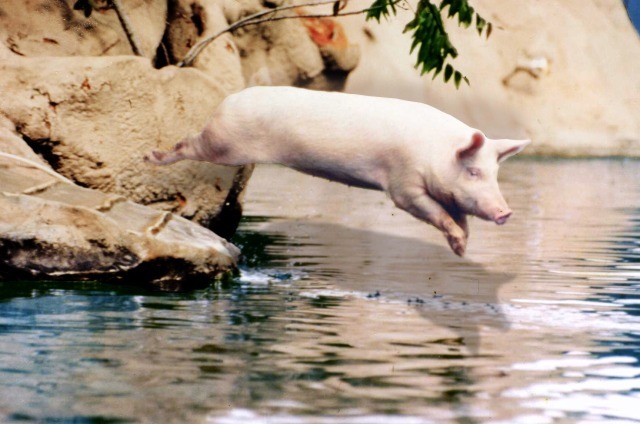 Watch Ralph the swimming pig’s swine dive from above and below the water. Watch Mallard ducks dive 15 feet below the surface of the water. Hear the story about the alligators escaping into the San Marcos River after the flood of 1970 and how they were rounded up. 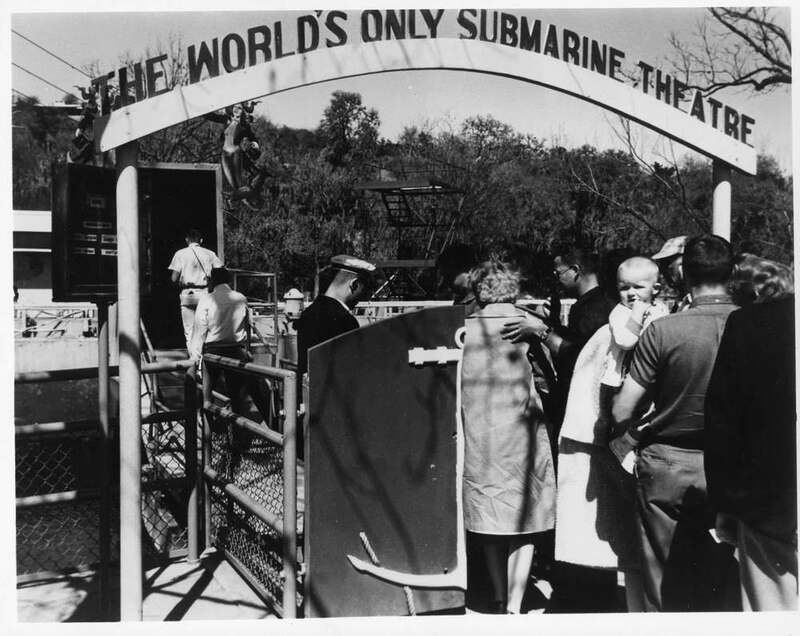 Learn how the World’s only Submarine Theater worked and hear what happened when the submarine flipped over during a show with 57 people aboard. See what the park looked like from the 1950’s to the 1990’s. 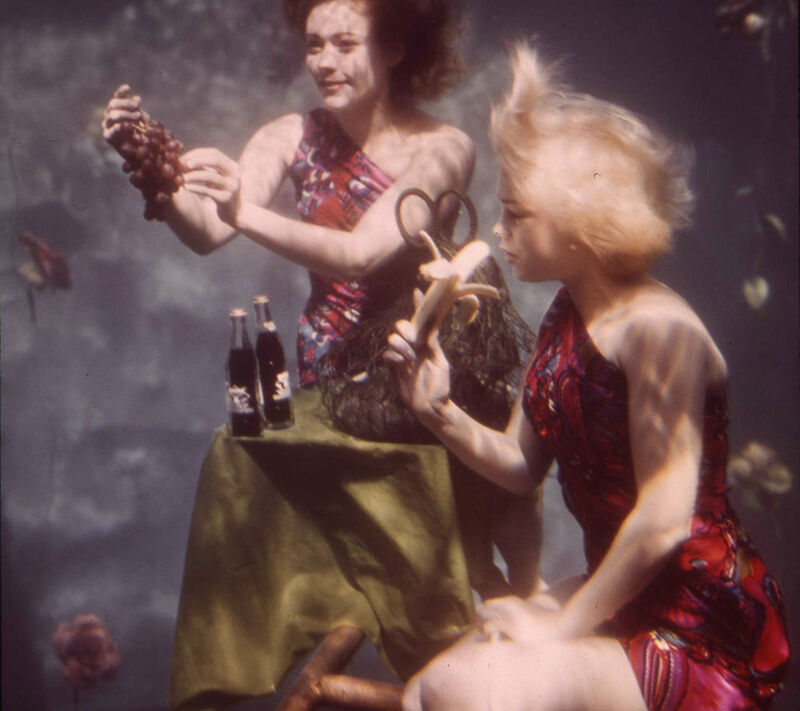 See the 1956 Underwater Wedding that was covered by Life Magazine and hear the story of how they did it from the "Best Man"